Satisfaction Guaranteed. 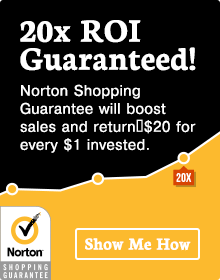 Or Else Your Money Back. The SSL Store™ always wants you to be completely satisfied when it comes to the SSL certificates and web security solutions we provide. If you're considering a refund or cancellation and feel you may need help, you can always discuss your options via retention@thesslstore.com or by contacting our Customer Experience Team via phone at +1-727.388.4240 or by Live Chat prior to your cancellation. 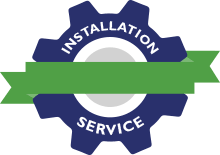 Our experts can solve your SSL related problem, walk you through the entire SSL process, or help clear up any confusion to get you the certificate you really need. If you contact our Customer Experience Team within 10 days of your purchase date, we almost guarantee you we can fix any issue!!! In the event that a certificate was purchased for fraudulent use, the purchaser forfeits the right to a refund/exchange and the SSL Certificate or web security product will get immediately canceled/rejected/revoked. 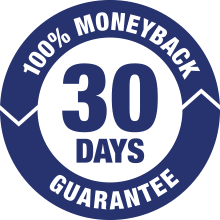 PLEASE NOTE: The 30 Day Money Back Guarantee may not apply to the purchase of monthly cWatch subscriptions or additional SANs (Subject Alternative Names) due to certain CA limitations, please contact us to discuss your options. The SSL Store™ includes a 30 Day Money Back Guarantee on all DigiCert™, Symantec™, GeoTrust®, Thawte®, RapidSSL®, Sectigo™, and Comodo® SSL certificates and other yearly web security products. In the event you are not satisfied with the product and/or the service did not meet your expectations, The SSL Store™ provides easy to follow onscreen instructions in your Dashboard on how to properly submit a cancellation/refund request. Simply locate the order in question and click Cancel either in your Total Order List, Order Detail Page, or Certificate Options Tab and select the appropriate reason. Please be advised, store credit can be processed instantly, but a refund typically takes 48-72 hours to process. The SSL Store™ Reseller program automatically cancels and issues store credit (or a Credit Memo if using Direct Bill) for any request received within 30 days after purchase. This credit is the most convenient option for Resellers since future orders are imminent. To properly submit a cancellation request, locate the order in question and click Cancel either in your Total Order List, Order Detail Page, or Certificate Options Tab and select the appropriate reason. 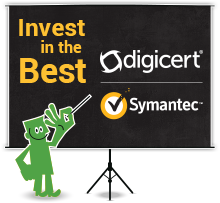 The SSL Store™ includes a 30 Day Money Back Guarantee on all DigiCert™, Symantec™, GeoTrust®, Thawte®, RapidSSL®, Sectigo™, and Comodo® SSL certificates and other yearly web security products. In the event you are not satisfied with the product and/or the service did not meet your expectations, The SSL Store™ will gladly issue a full refund to your original payment method (or a Credit Memo if using Direct Bill). However, if you are not using Direct Bill and interested in purchasing a different certificate, we recommend applying the order amount towards store credit. To properly submit a cancellation request, locate the order in question and click Cancel either in your Total Order List, Order Detail Page, or Certificate Options Tab and select the appropriate reason. Any product that's successfully cancelled must not be in use and must be un-installed and/or revoked. The SSL Store™ reserves the right to refuse to cancel and/or refund any order that is still in use, not un-installed, and/or not revoked. We guarantee the quality of all our SSL products with a full replacement or store credit of anything you order from our website or by any other means within 30 days of original purchase. If you still have questions about our policy or your order, please email us at retention@thesslstore.com.